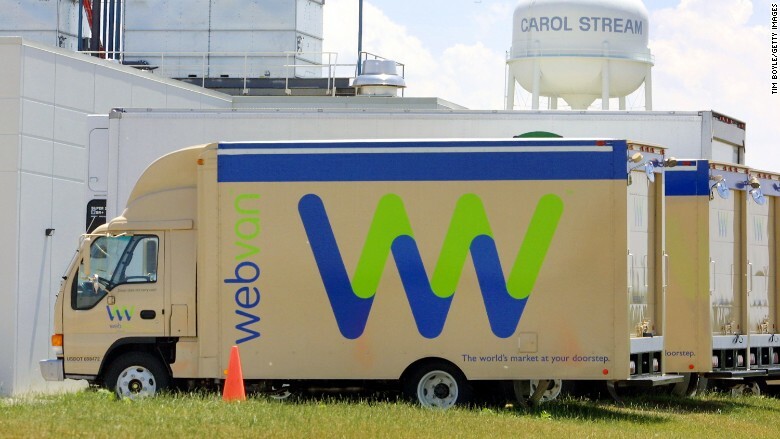 If Pets.com is the dot-com bust's most famous flop, Webvan was its biggest. Like many victims of the bubble, the grocery delivery service grew too fast, expanding its services to eight cities in just a year and a half. In the summer of 1999, Webvan announced it was making a $1 billion investment in warehouses and would expand to 26 more cities by 2001. At its November 1999 IPO, Webvan raised $375 million, shares traded at around $30 and the company was valued at $1.2 billion. But that was its peak. Investors soon realized that the company's customer base and margins weren't large enough to support all of the planned expansions. By the time the company announced it would close up shop in July 2001, Webvan's stock fell to just 6 cents a share. Webvan laid off 2,000 employees when it failed. Webvan is now owned by Amazon (AMZN).